For most, the thought of the holiday season conjures thoughts of eating ice cream while wiggling your toes in golden sand or enjoying a barbeque in the backyard with your loved ones. Summer is in full swing and the spirit of giving is in the air. However, the holiday season can also bring with it a sense of dread as you contemplate exactly how much you’ll have to spend. With a thousand social occasions to attend and even more gifts to buy, it’s easy for all those unexpected costs to pile up into one big dent to your savings account or – if you hadn’t been saving as much as you’d like – a sizeable credit card debt. But just because the holiday season is here doesn’t mean you’ll have to put your financial goals and security on hold to impress your loved ones. With this guide to controlling your holiday spending, you’ll be able to enjoy the holiday season to the fullest while ensuring you’re still on track to meet every single one of your financial goals. It’s no secret that when the holiday season is in full swing, so too does your spending go through the roof. As soon as December 1st rolls around, all those saving habits you worked so hard to cultivate throughout the year tend to fly out the window, replaced by present-buying, dining out and a calendar packed to bursting with social occasions. But what happens when your holiday spending exceeds the savings you put away in anticipation for the season, or if you hadn’t put anything away at all? The credit card comes out, naturally. During these busy times, it’s oh-so-easy to reach for your credit card to pay for those unexpected expenses. After all, $20 on that last-minute dinner and an extra $10 on THE perfect present for your Secret Santa are nothing, right? In reality, it’s all those extra costs that pile up into one massive credit card bill once the dust from the holiday season has settled. Avoid the future debt headache by triple-checking whether you’ll be able to pay off all those extra credit card charges before you’re charged interest. Or opt for the tried-but-true method of paying for all of your holiday spending in cash, which allows you to take out a certain amount of allocated money and see exactly how much money you have left. When the cash runs out, your spending should stop. Indulging in New Year’s Eve festivities is an important and timeless way to celebrate the ending of another year. But it’s also a notorious time for New Year’s revellers to get a little bit too carried away and end up forking out money for things they could’ve avoided with a little bit of pre-planning. The most common way to overspend on New Year’s is during the ride home after the celebrations are done. Due to an increase in demand, popular ride sharing sites like Uber and even taxis will jack up prices to capitalise on a prime opportunity to generate some extra revenue. But, you have to get home after your celebrations, so what are you supposed to do? For those who live near a bus route or train line, take advantage of your area’s public transport system to get yourself home for a fraction of the cost than a ride home would cost. Or discuss with your group of friends’ before the festivities and choose a designated driver who is in charge of getting everyone home at the end of the night. Alternatively, to avoid the travel conundrum altogether, you could skip the crowded bars and overpriced food at some of the popular New Year’s Eve celebration spots and hold a celebration at your own home instead. And remember, New Year’s Eve is more about celebrating the year with your loved ones than spending big on one night. One of the largest, unavoidable expenses during the holiday period has to be presents. For those with large families or social groups, it’s easy for present-buying to get out of hand quite quickly. It’s a familiar story: you want to give your loved ones the best presents possible, worry about impressing your in-laws or just get swept up in the season and your bank account sadly pays the price. You can avoid this happening to you by setting a gift budget, which includes a spending limit for each individual person on your gift list. 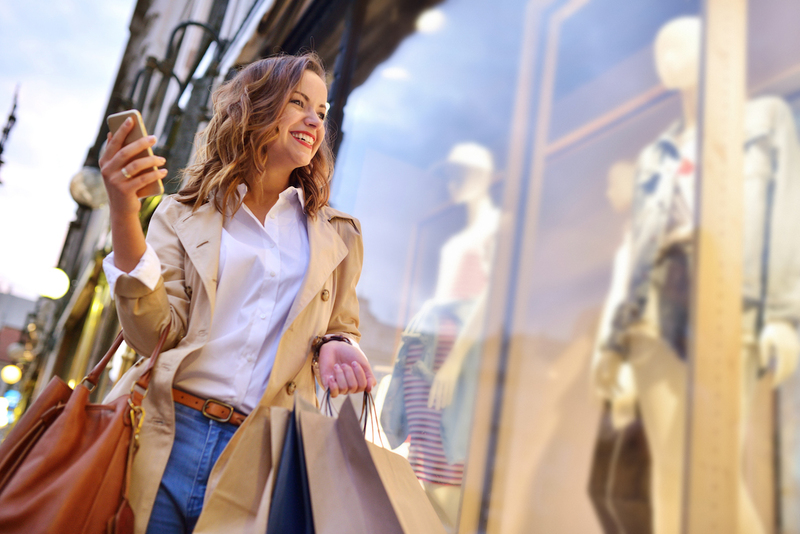 Before hitting the shops, take the time to sit down and work out exactly how much you’d like to spend and then dial it back to what you can realistically afford. For those who plan on splashing out on big ticket purchases, make sure to do your research to find out which retailer has the best price before spending your money. And, if you’re purchasing the item in-person, don’t forget to ask if the advertised price is the best that the store can do. Once you’ve figured out your gift budget, it’s time to start shopping. Just remember to note down exactly how much you’re going to spend on each individual gift and see if there’s any difference between that and your spending limit. By keeping yourself accountable for every purchase, you’ll be able to stop yourself splashing out when you’re in the moment. Once you’ve set a budget for the holiday season, the next all-important step is making sure that you’re tracking exactly how much you’re spending. While a spreadsheet is the simplest way to keep a tally on how much of your holiday budget you’ve spent and how much is left, it’s easy to forget to keep your spreadsheet updated. To bring your budgeting into the 21st century, opt for an all-in-one wealth app like My Wealth Portal. Among other functions, My Wealth Portal is linked to your bank account and allows you to keep a real-time track on exactly how much you’re spending. You can also use My Wealth Portal to set a budget for an individual category as well as categorise your spending, allowing you to see if you’re spending too much in one individual category. With a comprehensive picture of your current financial situation available at a glance, you’ll have no excuse to blow your budget next time you’re tempted to spend big. Paying for all of your Christmas gifts at full retail price can get very expensive, very quickly. For those wanting to cut down on their holiday spending, op-shops are a gold mine of quality gift ideas if you’re willing to spending the time looking for them. Know someone who recently moved into their first apartment or purchased their first home? Wander over to the kitchen section of your local Vinnies or Salvos and net a nearly-new dinner set or baking-ware for your loved ones at the fraction of the cost you would pay in a retail store. Have a friend who could use an upgrade from the IKEA furniture they bought when they first left home? Find them the perfect new piece and become their new favourite friend without breaking the bank. And don’t worry, shopping for your gifts at an op-shop doesn’t mean that you’ll be giving your loved ones old-fashioned, more-than-gently used gifts. As stores looking to get rid of excess stock or those going out of business often donate their leftover inventory to op-shops, you may be surprised at the quality of the things you find. One person’s trash is another person’s treasure, after all. During the holiday season, the drive to snap up a bargain in order to save a few dollars can cause the usually savvy shopper to make mistakes they normally wouldn’t. That’s why the holiday season is also a time rife with online scammers making a killing before disappearing for another year once the New Year rolls around. The most popular scam at this time of year is the online shopping scam, where scammers will set up fake retailer websites that look identical to the genuine version. These websites may even use stolen logos, a .com.au domain name and a fake Australian Business Number to convince you that they are the real deal. So, how are you supposed to know what’s real and what isn’t? Finance expert Ross Greenwood, in collaboration with QLD Police, has created a quick rundown of what to look for in a potential scam, which you can find here. The are two major indicators of whether a site is a scam or not. The first is if a deal seems to good to be true, it likely is. These scam sites often offer luxury items, such as popular brands of clothing and jewellery, for unusually low prices, but it’s likely that the products the sites are offering don’t exist or are fake copies of the original luxury goods. The second sign is if the site asks you to pay using a money order, preloaded money card or via wire transfer instead of more reputable payment methods like PayPal. If you send your money through these methods, it’s highly likely you’ll never see your money or the items you were purchasing again. The holiday season and food go together like vegemite and toast – it’s just a given that one always means the other. But putting together a spread for every single event during the holiday season can quickly add up into one very large grocery bill. 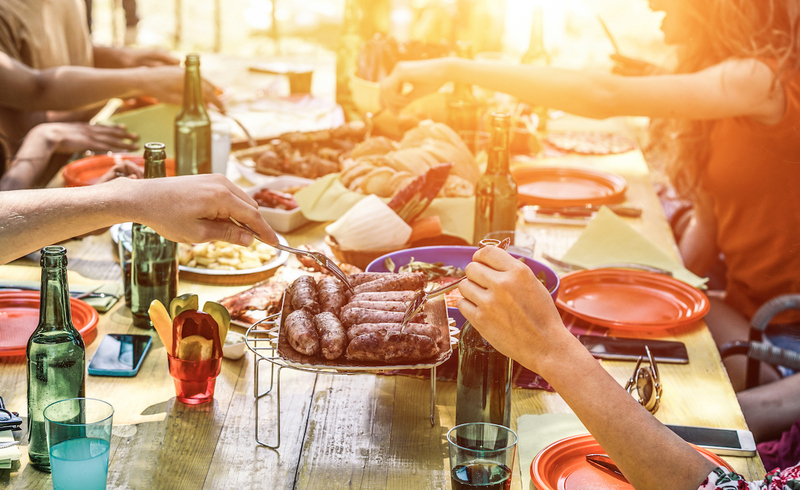 While you could take advantage of splitting costs equally among your guests or asking others to bring a dish to share to lower the costs of entertaining during the holiday season, there’s also a few other ways to slash costs. Hitting the grocery stores doesn’t mean just heading to the major chains like Woolworths, Coles and Aldi. You could also try buying in bulk from local vendors, such as your local butcher or bakery, who are more likely to discount your purchase when buying a large amount. To maximise those savings, coordinate a group purchase for everyone in your neighbourhood or apartment block. For your fruit and veggie needs, you can’t go past the local farmer’s market to pick up some bargains straight from the farm. The farmers markets can also be a great place to pick up a unique gift for the foodies in your life. As for the major grocery store chains, they know that you’re prepared to spend more than usual on your grocery bill and will do anything to get you to spend that extra money with them. Usually, this results in grocery stores discounting products they know you’ll need for your holiday celebrations. But certain grocery stores will only discount certain products, so to truly take advantage of the savings available to you it’s wise to spread your holiday grocery bill over multiple stores according to what is on sale in each. While this might seem inconvenient, the result of a grocery bill that is much less than it would be if you had bought all of your groceries in one place is worth it. During the holiday rush, it can be easy to get caught up in the mode of spend-spend-spend without sparing a thought for what will happen to your presents after the holiday season is over or the impact this period has on the world. Let’s be honest, there’s a high chance that at least one of the gifts you painstakingly chose will end up forgotten in a drawer or in the regifting pile for the next celebration. While we’re all focused on finding the perfect present, we also unintentionally create a lot of waste that could be avoided. If you ask anyone what the holiday season means to them, it’s likely that the concept of giving is a high priority for many people. Fortunately, there are other ways to give than through presents. Instead of spending countless hours and even more money on buying a physical present, organise with your loved ones to donate the money you would have spent on presents to a charity of their choice. This way you’ll be putting your hard-earned money towards doing good in the world, rather than contributing to your loved ones’ spring cleaning for next year. By following these tips for keeping your holiday spending under control, you’ll be able to focus more on enjoying the holiday season with your loved ones than worrying about your financial world. The holiday season doesn’t have to mean putting your financial goals on hold. With these tips to guide you, embracing the season to the fullest while staying on track to secure your financial future has never been easier. Now the only question is: how are you going to put your holiday savings to the best use for your financial future?